My sister just moved to southern New Jersey, to the large swing district that takes up the bottom 5th of the state, NJ-02, the seat the Democrats always shoulda/coulda/woulda won-- but never do. 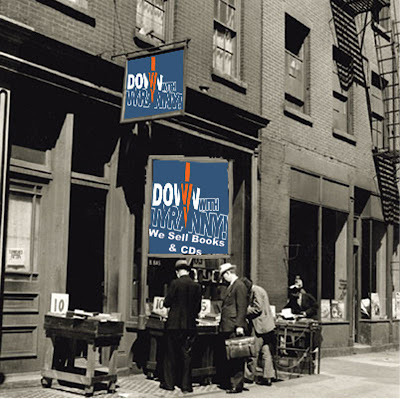 It stretches from Little Egg Harbor Township south through Atlantic City down to Cape May and west through Millville to the Wilmington suburbs and Philly exurbs along the Delaware River. There are 8 counties in the district but most of the votes come from Atlantic, Cape May, Cumberland and Gloucester counties. Obama beat McCain 53-45% and beat Romney 54-46%. 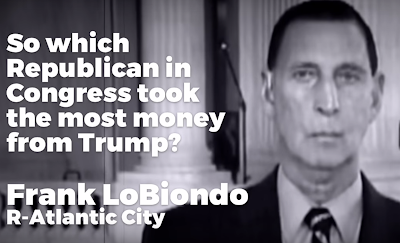 But Frank LoBiondo, a mainstream conservative, has held the district since 1994. He just announced he's not running for reelection. This is an interesting and unexpected development since he's already raised $367,141 this cycle and doesn't have any strong competition. The 2 Democrats who have declared ate Tanzie Youngblood and Sean Thom. He beat last year's Democratic candidate, Dave Cole, 176,338 (59.2%) to 110,838 (37.2%). LoBiondo spent $1,627,038 to Cole's $127,386. The DCCC refused to help Cole-- par for the course. Trump won the district last year, beating the establishment Democrat who was perceived as having nothing to offer working families but more of the same 50.6% to 46.0%, a gigantic drop-off from Obama's performance. In 2015 the district's PVI was D+1 but it slipped this year into slight red territory (R+1). Most prognosticators viewed LoBiondo as pretty safe, even in a wave year. In announcing his impending retirement he told that media that "I always looked for solutions that produce real world results built upon cooperation and partnerships. Regrettably, our nation is now consumed by increasing political polarization; there is no longer middle ground to honestly debate issues and put forward solutions. Furthermore, as some of my closest colleagues have also come to realize, those of us who came to Congress to change Washington for the better through good governance are now the outliers. A vocal and obstinate minority within both parties has hijacked good legislation in pursuit of no legislation." Trump and Bannon and the increasingly dominant neo-fascist wing of the GOP will be happy to see him go. LoBiondo also was a strong supporter of organized labor. He received $335,000 in contributions from unions in 2016, more than any other House member running for re-election, according to the Center for Responsive Politics, a Washington-based research group. With the popular LoBiondo out, the DCCC is being handed this seat on a silver platter. I wonder if they manage to blow it again like they always do. Losing NJ-02 is part of their muscle memory. Tuesday evening Ted Poe, first elected to a Houston area district in 2004, is chairman of the Foreign Affairs Committee's Subcommittee on Terrorism, Nonproliferation, and Trade, announced he'll be the third senior Texas Republican this week to be calling it quits. He won't be running for another term. He's a religionist nut and far right crackpot. Even before he announced he would be retiring after the current term, there were at least half a dozen Democrats vying got the nomination. His district is pretty red but Hillary did a lot better than Obama and Trumpanzee did a lot worse than Romney. In 2012, Romney beat Obama 62.9% to 35.6%. Last year, Trump beat Hillary 52.4% to 43.1%. The district still has a PVI of R+11 but if we had a good DCCC-- we don't-- they would run a strong candidate this cycle with the idea of bring the district home in 2020. But the DCCC doesn't think in terms of anything beyond the next meal time. Tanzie Youngblood and Sean Thom may be the only declared candidates for the NJ-02 seat next year so far, but there’s another possibility who’s being coy, but who is, unfortunately, a real possibility. Remember Jeff Van Drew  ? "The DCCC refused to help Cole-- par for the course." The nation suffers when the political leadership is corrupt. With this victory, watch Party leaders scramble to race to the head of the parade so that they can claim to have had a role in the landslide - a completely unprovable assertion due to serious lack of evidence to support it.